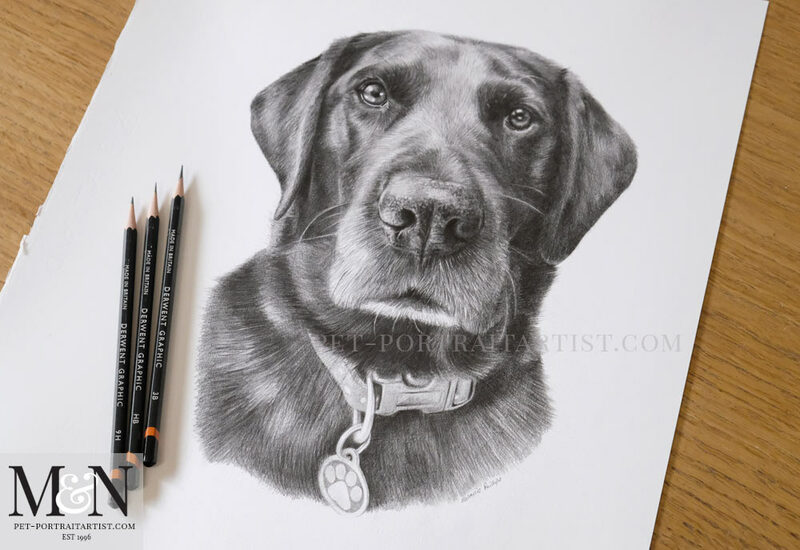 Welcome to my latest Black Labrador pencil drawing of a gorgeous dog called Albert. 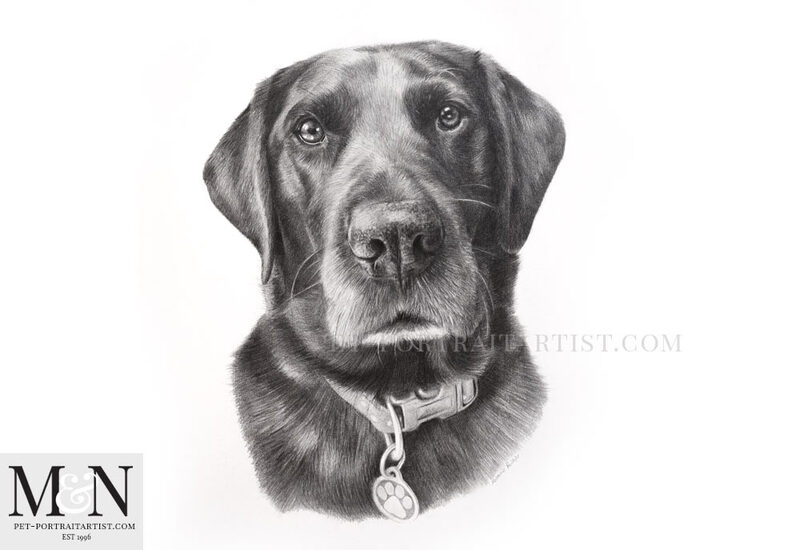 The portrait was commissioned by Steve here in the UK. It will be a lovely surprise for his family on Christmas day. Steve emailed a number of photos of Albert for consideration for the portrait. He did two photoshoots with Albert and both sets produced some fantastic photos. All of the photos were perfect to work from and Albert was a very willing model. The drawing was completed on Italian Fabriano paper at 16 x 12 size. Here are some candid shots of Albert’s portrait which show him more naturally. One with my hand on the drawing too. 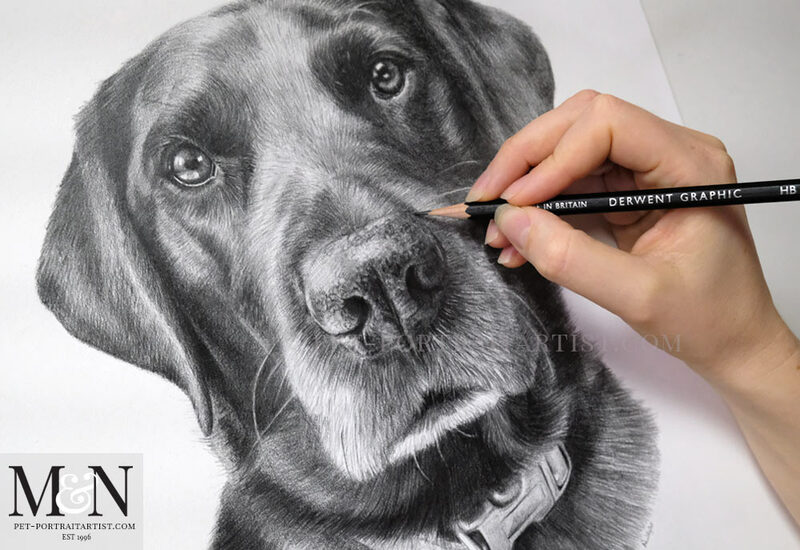 He was such a lovely chap to draw and I really hope the recipient will be thrilled! An artist friend asked me the other day if I drew my portraits at the size stated on my prices and sizes page, or do I cut the paper the actual size. Actually, it is in between the two! I usually cut my paper larger so that framers have plenty of room to attach the paper to the mount and position the mount around the portrait to make an aesthetically pleasing shape. Then I draw the portrait in the centre of the page leaving an inch around the edge. This gives clients a lovely sized drawing and plenty of choice when framing. 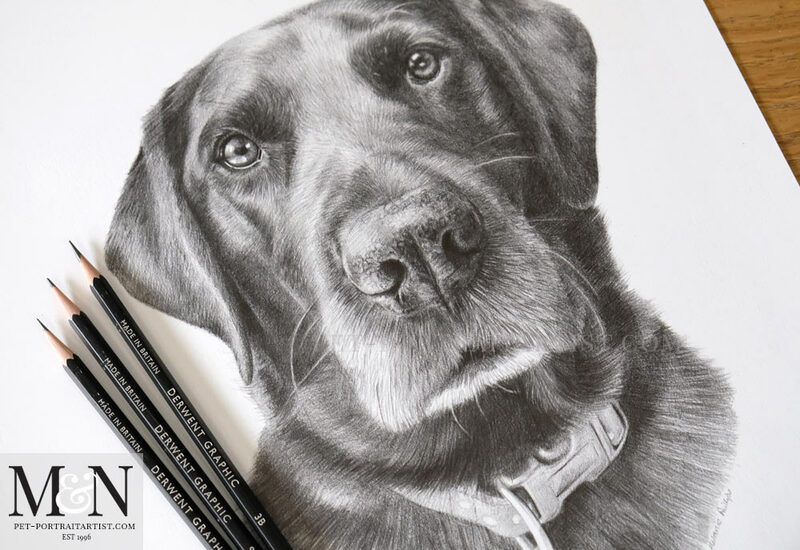 I hope that you enjoy viewing the photos of Albert below and if you would like your Black Labrador drawn, please don’t hesitate to email me at any time from my website.